The Human Rights Institute will award four $5,000 scholarships for the 2019-2020 academic year. These scholarships are awarded to academically outstanding undergraduate students who are enrolled full time at the University of Connecticut. There are various eligibility criteria for each scholarship that is available but all applicant must be either minoring or majoring in human rights, demonstrate academic achievement and financial need. Preference, for some awards, will be given to students who are also majoring or minoring in Political Science. Students who are ineligible for state or federal financial aid are eligible to apply for these scholarships. Save an unofficial copy of your University of Connecticut transcript as a pdf. The deadline to be considered for a scholarship is March 1, 2019. The Scholarship Committee will make their final selections no later than June 1, 2019. Scholarship recipients will be notified. Non-recipients will not be contacted. All scholarships will be administered by the Office of Student Financial Aid Services. If you are a need-based financial aid recipient (loans, grants, work-study employment) your financial aid package may be revised as a result of this award. If no adjustment is necessary and your fee bill is paid in full, you may be entitled to a refund. If you have questions about how a scholarship could affect your financial aid package, please call (860)486-2819. These scholarships are made possibly by the generous contributions from the Mark S. Rudy, Alan B. Slifka, and Wiktor Osiatynski Scholarships. the Human Rights in Action learning community, participates in UConn Outing Club trips, and is a member of the Soil and Water Conservation Society UConn chapter. 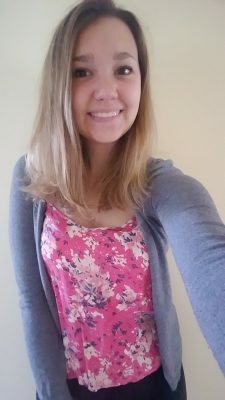 Amelia Henkel is entering her fifth year of a double major in physics and human rights and double minor in mathematics and women’s, gender, and sexuality studies. 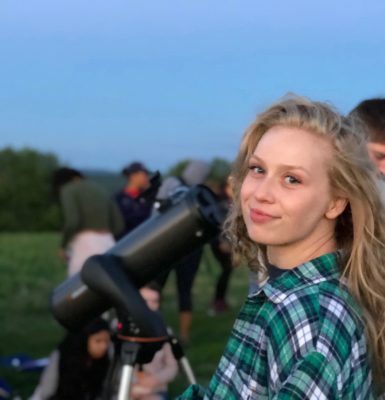 Next year, she plans to attend graduate school in astrophysics with an eventual goal of becoming a professor, all while using her human rights background to promote a more accessible, equal STEM community. She is presently engaged in research on galaxy evolution and gravitational waves in the UConn Physics Department as well as sociology research on discriminatory attitudes in the so-called ‘hard sciences.’ Amelia is currently the president of the university’s Women in Physics club and enjoys teaching physics and astronomy to younger students as well as engaging in public outreach. When she isn’t sleeping or eating, Amelia likes to spend her time cooking, gardening, and learning languages. Jenna Dwy is a rising senior majoring in Disability Studies and Human Rights. After being inspired by her mother with a spinal cord injury, Jenna pursued and created an individualized major in Disability Studies. Outside of the academic field, she is the president of Medlife: UConn. This organization travels to South American countries to provide health care for low income families. 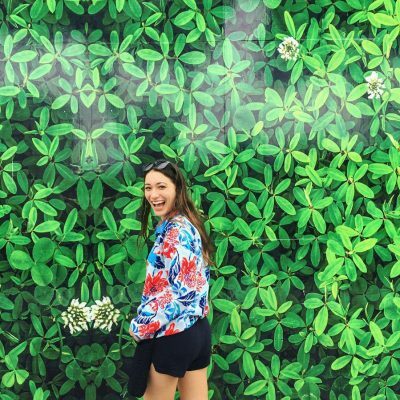 Jenna has made drastic changes and altered the definition of service for the organization. She is also a committee member of UConn Special Olympics, a leader in the Windham Heights After School Program, and a participant in UConn alternative breaks. She currently has an internship with the Jett Foundation which is a nonprofit that advocates for people with Muscular Dystrophy (MD). 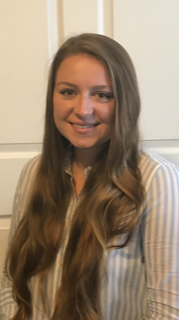 As a part of her internship, Jenna traveled the country this summer being a Unit Leader, Program and Logistics team member, and personal care assistant at the nonprofit’s adaptive summer camp, Camp Promise. The camp serves people of all ages with MD and similar neuromuscular disorders with the goal to achieve limitlessness for everyone. At home, Jenna is a certified nursing assistant in a retirement home that she has worked at for the past five years. 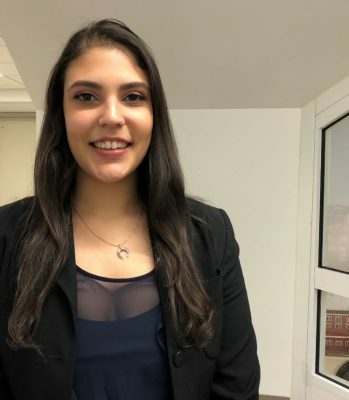 In the future, she hopes to use her education and experiences to break down attitudinal barriers and stereotypes for people with disabilities, and join the movement to ensure justice for the disabled community in the medical field. As a Brazilian-born native, I’ve personally witnessed brutal injustices and corruption in my surroundings, sparking my passion for Human Rights at an early stage in life. After moving to the United States, I was fortunate enough to live in a safe and peaceful town, which rooted my advocacy and interest in international politics. I’m working to fight for comprehensive government policies that seeks to protect the rights of citizens and respect all communities. It is my belief that we all play a part in making this world a better place for all members of the human family. As a Political Science and Human Rights double major, I have the opportunity to study ways in which I can personally impact change and help increase peace, justice, and equality in the world.